A hutong museum opened on Thursday in a historical district in central Beijing, offering visitors more knowledge about the city’s iconic traditional alleys and courtyards. 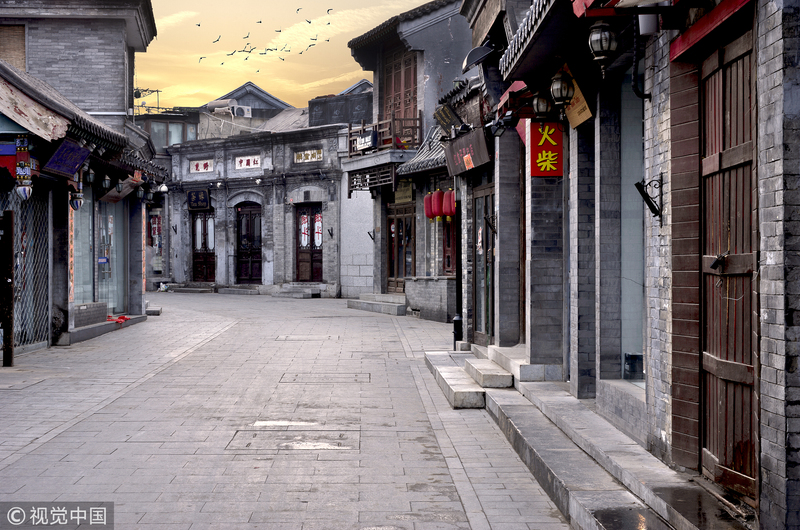 Hutongs are a type of narrow alley commonly found in north Chinese cities, especially Beijing. They are usually formed by lines of siheyuan, or traditional courtyards. Covering more than 1,000 square meters, the Dongsi Hutong Museum is located in a 28-room traditional courtyard in Dongsi community that was built in the 1940s. The museum is divided into five exhibition areas and features exhibits such as old city-wall bricks, chimes, and structural parts of traditional Chinese buildings. It took three years to renovate the traditional courtyard and build it into a museum, said Zhang Zhiyong, an official of the Dongsi community, who added that many residents in the neighborhood donated old objects to the museum after learning about the plan. The first donation was a wardrobe of 80 years purchased by a couple at the time of their marriage, which features a full-length mirror, fine carvings, and bronze-wrapped handles. “I hope the museum will not only help preserve memories of courtyards and the hutong culture, but also become a place for nostalgic Beijingers to frequent,” Zhang said.